The canonical crime of the Patriarch of Constantinople, Bartholomew, whose jurisdiction includes only a few parishes in Turkey and part of the diaspora in the rest of the world, must be condemned by the entire Orthodox world. The unlawful invasion of the Patriarchate of Constantinople into the canonical territory of the Russian Orthodox Church in Ukraine can lead to irreversible consequences, including provoking new schisms in other churches, and, most importantly, the split of the whole World Orthodoxy. But what is the attitude of the Orthodox East to the papist impulses of the former Constantinople in history and modernity? Is it possible to reach a consensus of the most ancient and influential Churches in relation to today's actions of Constantinople? On these matters we made an interview with the historian-orientalist and the director of Katehon Mikhail Yakushev. - First, I ask you to clarify, what is the general attitude of the Orthodox East - the most ancient Patriarchates - to the Patriarch of Constantinople? - The Eastern Patriarchs, following the diptych (order of honor - ed.) For the Patriarch of Constantinople - Alexandria, Antioch and Jerusalem - historically perceive it, as in the times of the Eastern Roman (Byzantine) Empire, as the first among equals (Primus inter pares). And this is due not only to the fact that the Church of Constantinople was the Church of the entire Christian Empire. So, from the middle of the 15th century, with the establishment of the Ottoman power, the patriarch of Constantinople received from the Ottoman Sultan a special title "millet-bashi room", the father of the Orthodox nation, who led all the Orthodox in the Ottoman Empire. Nevertheless, the Ottoman Empire has long since collapsed, but the "Milet-Bashi Syndrome" has been preserved by the Patriarchate of Constantinople until today. It seems that Patriarch Bartholomew I is still in the territory of the Ottoman Empire, where he tries to use the status that he does not belong to long ago. Moreover, he tries to extend this status to all other Local Churches, including the Russian Church. Which, of course, is unacceptable and anti-canonical. - At the same time, is it true that the Turkish authorities have long "not been delighted" with Fanar's universal ambitions? - Moreover, the authorities of Turkey deliberately let Bartholomew know that he is an ordinary Turkish citizen for them, albeit in a spiritual order, who must perform strictly church ordinances and requests for his small flock. As a bishop or even a priest: baptize, crown and burial, and not pretend to international leadership and primacy in relation to the Local Churches of other states. It began after the First World War, the collapse of the Ottoman Empire and the emergence of the Turkish Republic - since 1923. Since that time, the attempts of the Turkish authorities to continue to pin down, to pinch Patriarch, who is still trying to act from the position of Milet-Bashi. Including - in the territories of Bulgaria and Serbia, which have long been not Ottoman. And the Orthodox Churches of these lands behaved accordingly - as equals with the Patriarch of Constantinople. And it is from the 1920s that the Patriarchs of Constantinople are actively trying to inflate their title and status. So, the patriarch Meletios (Metaxakis), who passed to the news calendar, thereby inflicting a terrible blow on the unity of the Universal Orthodoxy, understood perfectly well that the Bolshevik government would not dispute this. It was he who first supported the Soviet revivalist split, showing his real attitude towards the true Russian Church and its Patriarch, Saint Tikhon (Bellavin). Well, since our Church was persecuted in those years, we could not resist the power ambition of Battholomew. As, however, any other Orthodox Churches. - It turns out that the Patriarchs of Constantinople of those years were themselves the liberal Renovationists, ready to sacrifice the basics of the Orthodox faith for the sake of preserving and strengthening their own power? - Yes, they are, in fact, Renovationists. Moreover, their tendencies towards uniatism developed throughout all subsequent Constantinople patriarchs, culminating in the official lifting in 1964 of the Roman Catholic anathema imposed in 1054. This was done by the patriarch Athenagoras, the renovator, ecumenist and ... the teacher of today's Patriarch Bartholomew. - It turns out that the organic defect that became inherent in Constantinople in the middle of the 15th century, when the Florentine union was concluded with the Roman Catholic Church, was never completely extinguished, and again became more acute in the 20th century? - Of course. By the way, in the XV century the Church of Constantinople got rid of the Latin heresy only because, after the fall of Constantinople, the Ottoman sultan Mehmed II the Conqueror approved the Patriarchal throne of St. Gennady Scholari, a disciple of Mark of Ephesus, a determined fighter with the Florentine Unity. And only after that the Patriarchate of Constantinople was able to restore relations with the Russian Church. - We are talking about more than generous donations, as well as political support from the young Russian Kingdom, and later the Russian Empire, to which the Eastern Patriarchs and their representatives constantly went to bow? - And this was both a strength and a weak side. If the next hierarch of these Orthodox Churches in the territory of the Ottoman Empire was seen in pro-Russian moods, this often became the reason for his overthrow. But only in Constantinople was the rule that the same Patriarch could be several times overthrown and again delivered to the Patriarchal throne. And in many respects thanks to bribes, to the money that he received from the Russian State, from the territory of the Russian Church, they often opened their way to the Patriarchal throne. - Nevertheless, Greek nationalism and Russophobia were also traced under the Russian Empire. What are the roots of this Russophobia? - Here you need to see the new forces that appear on the political and religious scene of the Christian East. First of all, these are Western states. It must be said that after the capture of Constantinople, the Ottoman government hated everything Latin, Catholic. That is why they gave the Constantinople Patriarchs a special status of Milet-Bashi, in fact - a member of the Ottoman government (to be more precise, an Ottoman official with the rank of a double-bunting pasha). In this sense, the arrival of the Ottomans helped the Orthodox to strengthen themselves in the struggle against Catholicism. This continued until the first quarter of the XIX century, when the Greeks raised anti-Ottoman rebellion. Although before this period the Greeks had a very high status under the Ottoman port, practically controlling the diplomacy of the empire. However, the intervention of Western powers, especially France, and then Britain, violated this order. The attitude of the Ottomans to the Greeks changed dramatically. Moreover, the British played an extremely negative role here: they framed Russia, representing it as the instigator of this uprising. Although the British themselves encouraged the Greek Masons, who were preparing anti-Ottoman rebellion. It was the UK in those years that neutralized all attempts by the Russian Emperor Nicholas I to improve our relations with the Ottomans. The British, however, laid the megla idea (the "great idea") of the creation of a great Greek state that would replace Russia in the Orthodox world in the minds of the Greeks. The idea, implicitly existed in the Greek elite, along with Uniate ideas. - It is known that before the First World War the representatives of the Patriarchate of Constantinople did everything to minimize the Russian influence on the Mount Athos, squeezing out Russian monks from there. - Therefore, we now have Greek jurisdiction over this peninsula. Although the plans of Russian diplomacy towards Athos were different: to divide the sovereignty between the Orthodox states, including Russia, Romania, Serbia, Bulgaria and Greece. Against which the Greeks actively opposed. As a result, Athos is under their control. - And the fact that now the US ambassador in Greece, Geoffrey Payette, dictates to the aphorites of the aphorites to cease their relations with Russia, is the continuation of the same Russophobic policy imposed on Greece by the West? - Exactly. I repeat, our relations with the Eastern Patriarchs, the Ottoman Empire, and the Turkish Republic have been actively hampered and hindered by the Western powers since the 19th century. Their eastern policy led to the fact that in the present era the Patriarch of Constantinople is already openly declaring his Eastern Papist inclinations. - Nevertheless, the Primates and representatives of the absolute majority of the Local Churches have repeatedly stated that they support the canonical Ukrainian Orthodox Church as part of the Russian Church. Is there any hope that the same Eastern Patriarchs will confirm their former positions by opposing the schismatic actions of Constantinople? - On the one hand, the Patriarch of Constantinople Bartholomew himself repeatedly declared the unacceptability of recognizing the same self-styled "Kyiv Patriarchate". But judging by the fact that the Greeks are in many ways unpredictable, it remains for us to pray hard and wait for reaction. Although something tells me that they will still come out against it. In recent years, they have repeatedly felt the offensive on their position by Patriarch Bartholomew. But now he began to go over the permissible side, and I hope that they will not be able to close their eyes to this further. I think that the Universal Orthodoxy should say its word, because here the basic laws, basic rules adopted at the Ecumenical Councils are violated. And they perfectly understand that sooner or later the interests of their Churches will also be trampled upon. - And what about Athos? Can Afon criticize the actions of Patriarch Bartholomew? - I think it is from the side of Mount Athos that she will sound one of the first. Over the past many years, Athos has had a difficult relationship with Bartholomew. The holy elders of Athos clearly follow the encroachments of the Patriarch of Constantinople on their rights of the so-called "monastic republic". And the voice of the monks on Athos was always a kind of tuning for the rest of the Local Churches. And I hope that now the voice of most monasteries of Mount Athos, and perhaps all, will help preserve the unity of Orthodoxy. - Is the Russian Church capable of influencing this process or even initiating it? - I'm afraid the patriarch Bartholomew himself is no longer reasonable. Because he is not a free man, led, controlled by the US administration. And in this sense only the arrival of the new First Hierarch of the Church of Constantinople can change the situation for the better. 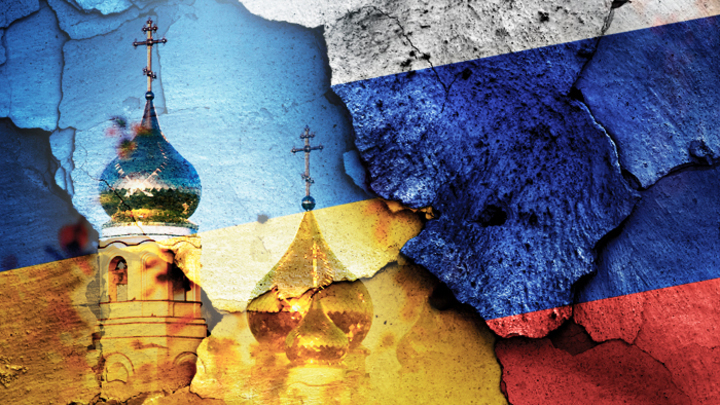 The Russian Church is now taking the right steps, showing its peace and readiness for dialogue. But personally it seems to me that our church diplomacy needs to show great resolve. We must not be afraid to aggravate our relations with Bartholomew even more. Because this is a question more political than religious. And the right and the truth are on our side.